O woman, we gonna burn in hell! The Post was a movie I didn’t love that told two great stories. 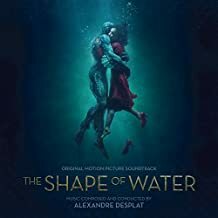 The Shape of Water is a great film that tells a story I don’t really get. Certainly worthy of the thirteen nominations it received. I think it’s possible it will clean up at the awards this year, but it is my pick for only three. Three big ones, though. If you ask me, this one is a lock. I would be sorely disappointed if Sally Hawkins doesn’t win this one. As I’ve written about in the past, I am not sure I understand how they judge this category, and this year this is as tough a choice as I’ve seen before, but the imagery in this film was simply captivating throughout most of it. Brilliant work.